Well, yesterday’s devotional (click here) laid the basic foundation of what the Mark of the Beast and his Image is about. But today’s devotional is concerned with the heart, and just why and how it must be purified. Perhaps, the best place to begin today’s devotional, is with God’s purpose for all the killing in the Old Testament. And let’s face it! With all the many thousands of lives that were forfeited in the Old Testament, you could say that God was really putting an exclamation mark on what He was trying to convey to us! And so, this is perhaps one of the most important concepts in Scripture… “I will not drive them out from before you; but they shall be as thorns in your sides, and their gods shall be a snare unto you.” Judges 2:3. 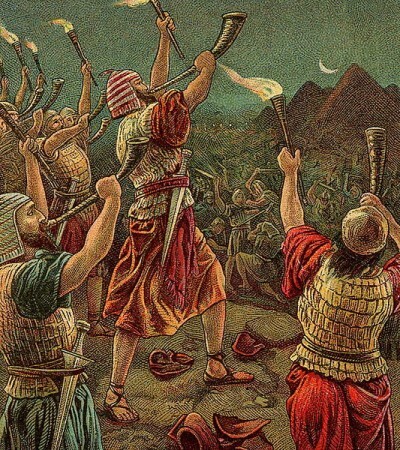 The driving out of non-worshippers of Jehovah, was one of the great themes of the Old Testament! It is the subject of many of the Old Testament stories. But just what was the purpose of all that killing? Is God some sort of tyrant? Does God have so little regard for human life? When Jesus came to the earth, He put to rest much of the notion that God is a vengeful God. Yes, Jesus was totally a man of peace, never once retaliating against one of His many foes! So what was the reason for all those bloody battles in the Old Testament? Well, it must be understood that all those OT stories about the children of Israel rooting out the enemies were actually metaphorical pictures of what Christians must do in our own heart and mind. That’s right, we must purify our hearts! 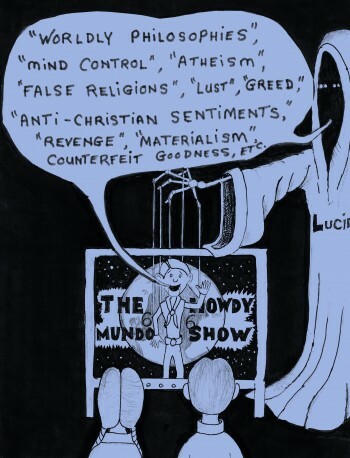 We need to root out all those sinful traits which have long ruled over our minds. Those sinful traits which are common among the unbelievers of the world, but have no place in the hearts and minds of God’s people! Just listen… “And every man that hath this hope in Him purifieth himself, even as He is pure.” 1st John 3:3. Notice this verse says “EVERY MAN that has this hope in Him (Jesus), purifies himself…”. So this commandment to purify our hearts, is not just for some, but for every Christian! And so, our great commission to purify our hearts and minds, was God’s purpose in giving us those many stories of bloody battles! Well, the Bible makes it very clear that “evil communications corrupts good manners (behavior)” 1st Corinthians 15:33. And so, separating from ungodly influences is an integral part of the purification process! So here we see the difference between a true child of God, and a false brethren. The false brethren love this world and have no desire to be fully purified into Christ’s image. Oh yes. they are very happy to put Jesus on a pedestal and to venerate Him. But never to become like Him within! To be Christ-like requires death-to-self. And death-to-self would be too great of a sacrifice for any worldly-minded “Christian”. After all, to die-to-self, and become totally Christ-like, would then require the Christian to forsake this world with all its pleasures and pursuits. And this would be totally unacceptable to the worldly-minded. If you or I have the attributes of Satan’s evil World-System guiding our lives, then, in essence, we have the Mark of the Beast. On the other hand, if we have the virtues and attributes of Jesus guiding our lives, we then have God’s seal in our foreheads (“in our forehead” actually means, in our heart and mind—see Deuteronomy Ch. 6:6-8). To put it concisely, it’s all about “just who is ruling my heart?”. Listen… “For the weapons of our warfare are not carnal, but mighty through God to the pulling down of strong holds; Casting down imaginations, and every high thing that exalteth itself against the knowledge of God, and bringing into captivity every thought to the obedience of Christ; And having in a readiness to revenge all disobedience, when your obedience is fulfilled.” 2nd Corinthians 10:4-6. This passage is commanding Christians that our hearts and minds must be totally purified, and filled with godly thoughts. Now as we can see, Paul put this above passage in military terms. And he did this for a very good reason! This is the battle we must fight! This is the hill we must conquer! And this is the war we must win! To overcome “self” is the great work before us. “Thou wilt keep him in perfect peace, whose mind is stayed on Thee: because he trusteth in Thee.” Isaiah 26:3. This above verse is a much more pleasant way of saying the very same thing Paul just spoke of. Yes, to keep our minds totally fixed upon Jesus and His Word, is a much more pleasant way of saying what Paul put in military terms! But Paul said it in battle-ready terms… “For the weapons of our warfare are not carnal, but mighty through God to the pulling down of strong holds; Casting down imaginations, and…etc…”. And the reason Paul put it in military terms, is because he knew this would be every bit as much a battle as was the overtaking of the Promised Land by the children of Israel! Oh no, we are not to use slaughter weapons as does the world, to win our war. But we are to root out the enemy…out of our heart. This is the Christian warfare. This is what overcoming is all about for the Christian! If God is ruling, then my heart will be filled with God’s attributes. And God wants no compromise. God does not accept a divided heart. “Ye cannot serve God and Mammon.” Matthew 6:25. If Lucifer is ruling, then my heart will be filled with the attributes of the world. Listen to what God has to say about Antichrists… “They (antichrists) are of the world: therefore speak they of the world, and the world heareth them.” 1st John 4:5. Well, the very Good News is, that the solution to all this is very simple! God wants us to cease from hearing and seeing the evil instruction which we are bombarded with, every day! And instead, God wants us to fill our heart with His life-giving instruction which comes from His glorious Word, the Bible. The difficult part of all this is, that this is an entirely impossible mission, without the indwelling of the Holy Spirit. Yes, only by God’s wonderful gift of the Holy Spirit, can we even do the tiniest work of God upon our heart! But in these last days, God has given us a wonderful promise… “For whosoever shall call upon the name of the Lord shall be saved.” Romans 10:13. Yes, in these last hours of earth’s history, God is willing to pour out all Heaven’s resources, to ensure our complete victory! 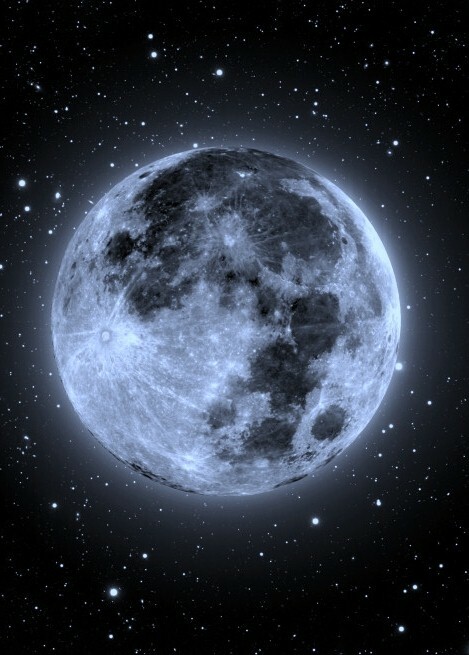 This second face in the Moon appears to be that of a combination of a man as well as a fox. Or maybe a wolf. Doesn’t he have a long narrow nose like a wolf or fox? Maybe even a dog. Nevertheless, the expression on his face, as he appears to look down upon the Earth, is that of scorn. Unlike the first Moon-man’s sad shock and awe; this ‘man/fox/wolf/dog’ appears to be that of anger and scorn. As if he is disgusted at the sinful planet below. He is very moral, you see! Well, the Bible has much to say about Pharisees. And the Bible has much to say about wolves, and foxes, and dogs. And this wolf-face inscribed in the Moon has much to tell us about ourselves! So if you are a truth-seeker, then this article will be an eye-opener, as we explore just what the Bible has to say about these things. And the fact is, this Pharisee Moon-Beast is in the heart of each and every human. And so, if you (or I) find that this wolf-man has some things in common, please don’t despair! For God is giving us these signs, while there still is time. While there still is hope!